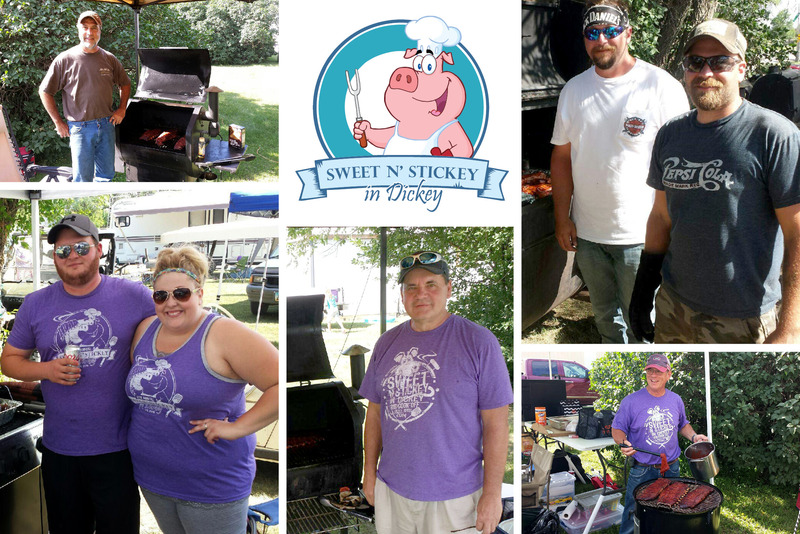 The Annual Sweet N’ Stickey in Dickey Cook Off was held on Saturday, July 11 in Dickey, N.D. In its sixth year, the event showcased 24 cooks—the most in the event’s history—all hoping to win a Sweet N’ Stickey in Dickey trophy and generate donations for Hospice of the Red River Valley. Three hundred pounds of ribs and 50 pounds of pulled pork were served during the event, and more than $3,000 was raised for Hospice of the Red River Valley in memory of loved ones who have been cared for by Hospice. The Judge’s Choice winners were: first place— Brett Lunde, second place (tied)— Craig Good and Darrin Wetzel and third place— Brent Carpenter. The People’s Choice winners were: first place— Brett Lunde, second place— Adam Johnson and third place— Bret Haakenson. The Seventh Annual Sweet N’ Stickey in Dickey Rib Cook Off will be held on July 9, 2016.